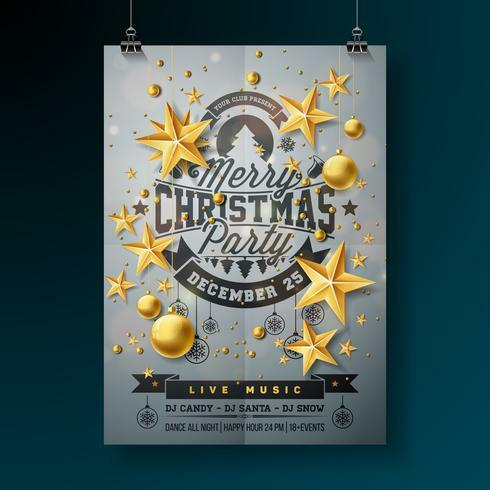 Vector Merry Christmas Party Design with Holiday Typography Elements and Ornamental Balls on Clean Background. Celebration Flyer Illustration. EPS 10.